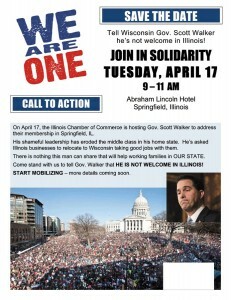 Come on down and help the We Are One coalition welcome Scott Walker. 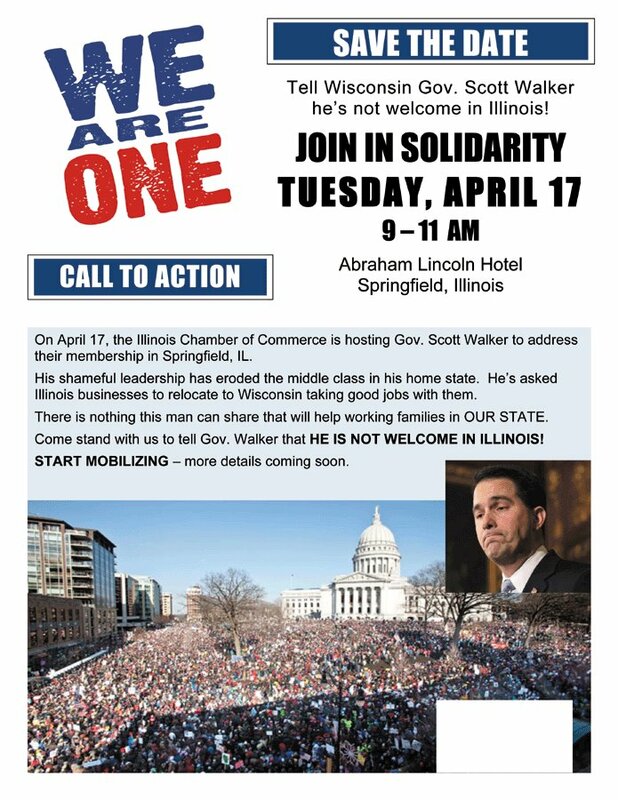 . . .we want him to remember his trip to Illinois for a long time after he is recalled. . . .
Join We Are One Illinois, the Illinois AFL-CIO and our member unions in Springfield on Tuesday, April 17. Tell Scott Walker we don’t want him, his extreme attacks on workers’ rights and retirement security, or his failed record here in Illinois!